SUMMER ROMANCE AT THE JERSEY SHORE! Watch the Book Trailer! Tour the Jersey Shore! Read Tori's guide to Candle Magic! Summer at the Jersey Shore heats up when a girl with no family meets a guy with too much. "What are you doing?" Tori asked. "Proving your spell doesn't work." Nick came back in, making a big show of opening the door and stepping back into the hall. "There, see? Your magic is worthless." "Yes, it is. I got back in, didn't I?" "That doesn't prove anything. You don't have evil intentions." He captured her gaze, his dark eyes dropping to her lips. His smile slowly faded. The intense expression that replaced it made her breath catch. "You wouldn't say that if you knew what I was thinking," he muttered. For Tori Morgan, family's a blessing the universe hasn't sent her way. Her parents are long gone, her chance of having a baby is slipping away, and the only thing she can call her own is a neglected old house. What she wants more than anything is a place where she belongs, and a big, noisy clan to share her life. For Nick Santangelo, family's more like a curse. His nonna is a closet kleptomaniac, his mom's a menopausal time bomb and his motherless daughter is headed for serious boy trouble. The last thing Nick needs is another female making demands on his time. 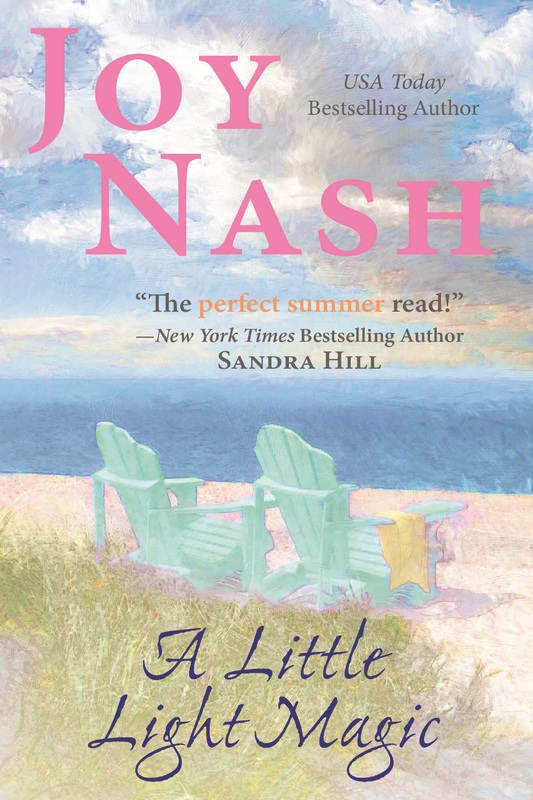 But summer on the Jersey shore can be an enchanted season, when life's hurts are soothed by the ebb and flow of the tides and love can bring together the most unlikely prospects. A hard-headed contractor and a lonely reader of Tarot cards and crystal prisms? All it takes is a little light magic. I WAS UP UNTIL ALMOST TWO A.M.